What can you do in Seattle on a Friday or Saturday night that doesn’t involve drinking? Plenty. All too often, a night out is synonymous with drinking. Terms like “nightlife” and “going out on Friday night” imply that consuming alcohol is a major part, if not the primary goal, of the evening. But for plenty of Seattleites, that’s not really the case. There are plenty of people under 21 who can’t (or shouldn’t) be buying alcohol. There are lifetime non-drinkers. There are those who used to imbibe and realized for one reason or another that it wasn’t for them. And then there are people who do drink on occasion but might prefer the occasional non-alcoholic night out. Fortunately, Seattle is a city with plenty of variety on just about all fronts, from different beverage choices and places to imbibe them to other things to do that have nothing to do with drinks. Many restaurants stay open late into the evening, but a few special restaurants keep the lights on until the wee hours. Seattle has a few restaurants that stay open 24-hours a day. Sure, these places are often frequented by people who have been out drinking and need to sober up, but they also make innovative places to dine upon appetizers into the night for non-drinkers. If there’s a mellow antithesis to a wild night of drinking, it’s relaxing in a tea room. With it’s cold, wet weather and a large Asian population, Seattle has a great tea culture. Most of the best tea shops, including Wallingford’s Kuan-Yin and Capitol Hill’s Remedy, are open until at least 10 p.m. And unlike coffee, teas offer a wide spectrum of caffeine options, so you can manage how wired you’d like to be when it’s time to head home. Unlike the broad range tea offers, coffee gives either a lot of caffeine or none, so tread carefully if your tolerance is low. 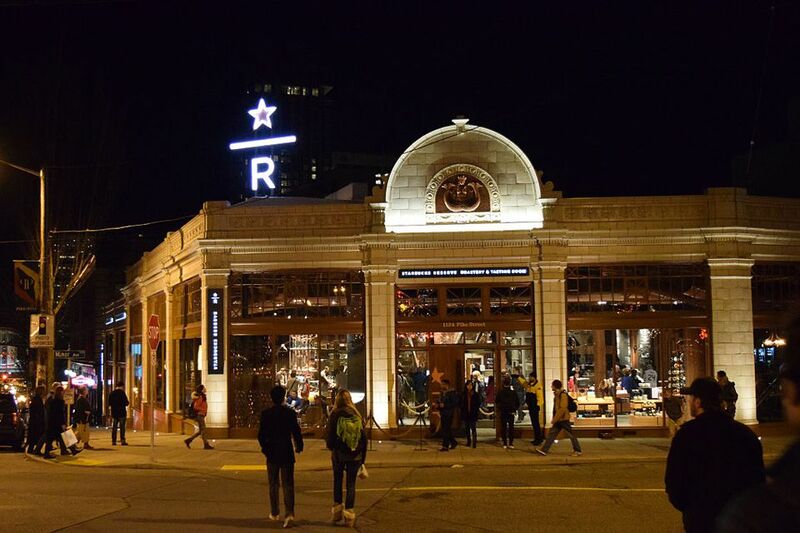 But Seattle’s late-night coffee culture is just about as essential to its personality as anything. In Seattle’s numerous late-night coffee shops, you’ll find visionaries discussing the next great tech start-up, the next great indie-rock album, or maybe just the next great coffee shop. There are many options for late-night caffeine in Seattle, but Cafe Pettirosso is open until 2 a.m. many nights of the week, and Espresso Vivace is open until 11 p.m. all week long. With bars 100% smoke-free since 2006, the distance between drinks culture and smoking culture has grown. While bar-goers hastily sucking down a cigarette outside their favorite pub is still a common sight, the ability to enjoy a smoke is increasingly relegated to the small but vibrant hookah lounge scene. Unlike cigars, cigarettes or pipe-smoking, hookahs provide a very light, cooler smoke and are enjoyed by those who consider themselves non-smokers. Tobacco comes in flavors like watermelon, vanilla and apple, and a hookah (but not the mouthpiece) is shared by as many as four people. While some hookah lounges are BYOB (bring your own beverage--for an “uncorking” fee), the vibe at these spots is very different from most bars. Favorite spots include Cloud 9 in the Central District. While plenty of theaters run movies at 9 p.m. or 10 p.m., the Egyptian on Pine offers midnight movie screenings every Friday and Saturday, running a different film each week. The titles tend to be edgy cult classics (examples include The Big Lebowski, The Dark Crystal, and Back to the Future) and the crowd enthusiastic. While certainly, a portion of that crowd has had a few drinks earlier in the evening, it’s just the right balance of raucous but respectful. The U-District’s Grand Illusion will also sometimes program late night fare, though it tends to be deeper into the cultish or camp classic (think Porkys, for example). Certainly, there’s lots of great music to be had in clubs that serve drinks, but some of the best venues in town are all-ages. The Vera Project at the Seattle Center, Fremont Abbey in Fremont, El Corazon on Eastlake, The Showbox downtown (for some shows), and Chop Suey on Capitol Hill all program top-notch local and touring groups for all-ages crowds. Dimitriou's Jazz Alley is also all-ages for shows before 9 p.m., which usually includes their biggest names.